It seems like medical researchers are always uncovering new, compelling reasons to quit smoking. This habit has negative effects on organs ranging from the heart to the lungs and even the bladder, pancreas and kidneys. If you’re concerned about maintaining your natural smile for as long as possible, that’s another good reason to give up your cigarettes for good. For one thing, tobacco use can eventually lead to a visit with the periodontist, as there is a link between smoking and gum disease. Although the mechanism is still being explored, smoking seems to interfere with the proper attachment of the gums to the teeth. Smoking is also associated with higher levels of plaque and tartar, which contain the oral bacteria that cause inflammation in the gums. 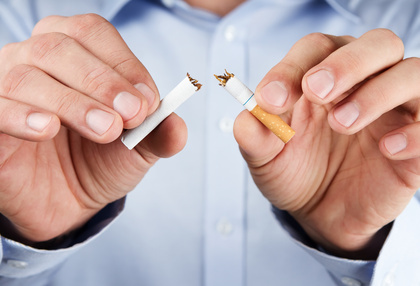 Furthermore, smoking makes people more susceptible to attacks by those periodontal disease-causing bacteria. If left untreated, gum disease may progress so far that a patient faces a serious risk of tooth or bone loss. At that point, the same bacteria that are causing inflammation in the gums can turn on the hard tissues of the mouth as well, and treatment in such cases may involve more invasive procedures. Oral cancer is another big health risk that coincides with tobacco use, including cigarettes, pipes and cigars. Additionally, this condition reinforces that smokeless tobacco is no safer than the kind that comes in cigarette form, as snuff is associated with higher incidences of oral and esophageal cancers. Other negative effects of smoking may be less detrimental to your health, but their impact on your appearance is just as troublesome. Bad breath and dingy, yellow teeth are often the hallmarks of a smoker. Smoking has serious consequences for your oral health. 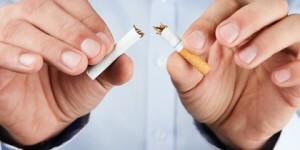 If you are considering kicking the habit, think about the oral health benefits that you will get as a result. Contact our practice serving NYC for additional information and to schedule a consultation today. What lifestyle factors have a negative impact on my oral health? This entry was posted in All, Blogs, Mouth-Body Connection, Periodontal (Gum) Disease, Periodontist, Smoking and tagged periodontist NYC. Bookmark the permalink.